Protecting your IP will obviously require spending money, so why would you do so? 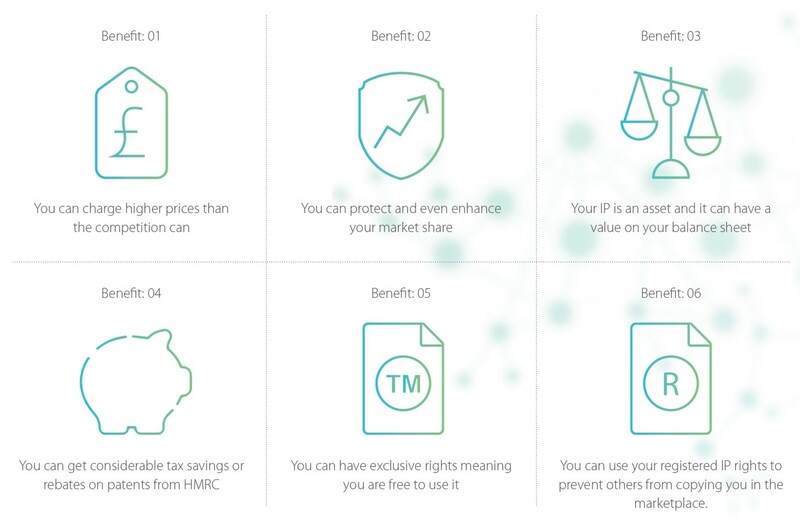 Here are six benefits why you should consider investing in the protection of your IP. product because no other competitors could copy. Profits for the sale of Panadol were high. Unfortunately the first patents on the use of paracetamol have long expired and now generic paracetamol is made by many companies and sold widely and very cheaply. Companies that can make their products or services different from the rest of the competition whilst making them impossible to copy through the protection of IP, typically capture a bigger market share than those who do not. For example, Apple Inc. is very aggressive at protecting its IP and there have been many high profile lawsuits against competitors who have allegedly copied them. Apple is very clear about what features in its products are important to consumers and it fights to protect them legally. Smaller companies do not have to go to the expense of lawsuits; being able to publicise that you have IP for a particular product or name can act as a deterrent to would be infringers. IP can be used as a basis for a relatively cheap legally worded letter demanding that a competitor change its name or product, which is often enough to deter would-be copiers. There is software that is commercially available now to value your IP. The value can be listed on a company balance sheet as an asset, thus maintaining and sometimes increasing the value of your company. This can make your company more attractive to investors. In fact, some investors insist on IP protection being in place before they will invest, because it protects their assets against competitors and strengthens the trading position. If a business adopts a new trade mark for goods or to offer services under it, it is really important to clear the name for use. This means ensuring no third party already own rights. It can be devastating to spend time, effort and money on building a brand to find a change is required because someone else owns the name. So once a mark is clear for use obtaining registered trade mark rights is important as it gives the owner the exclusive rights to use the name in relation to the goods/ services. Benefit 6. You can use your registered IP rights to prevent others from copying you in the marketplace. If you have obtained registered rights these can be used to enforce that right against competitors or third parties who try and benefit from counterfeiting or selling under the same or a similar name that conflicts with yours in the marketplace. Blog, Learning Material, Resources, Startups, Support business, enterprise, innovation, IP, start-up support. permalink.